The Swiss violinist Esther Hoppe is amongst the most interesting artists of her generation. Highly acclaimed by the press for her beautiful tone, her exceptional stylistic assurance and her sensitive yet virtuosic performances she always lets her stupendous technique serve the purest music making. After studying in Basel (Musik-Akademie Basel), Philadelphia (Curtis Institute of Music), London (Guildhall School of Music and Drama) and Zürich (Zürcher Hochschule der Künste) she went on to win 1st Prize at the 8th International Mozart Competition Salzburg. Soon after she founded the Tecchler Trio with whom she concertized intensively until 2011. The trio won several first prizes at important competitions, such as 1st prize at the ARD-competition in Munich in 2007. Since 2013 Esther Hoppe is professor for violin at the University Mozarteum in Salzburg, Austria. She leads an exciting concert calendar and performs as a soloist with Symphonieorchester des Bayerischen Rundfunks, Münchener Kammerorchester, Orchestre Les Siècles Paris, Kammerorchester Basel, Zürcher Kammerorchester amongst others, and her chamber music partners include Clemens and Veronika Hagen, Nicolas Altstaedt, Vilde Frang, Heinz Holliger, Elisabeth Leonskaja, Alexander Lonquich, Christian Poltéra and Ronald Brautigam. Esther Hoppe is a regular guest at festivals such as Lockenhaus, Ernen, Luzern, Gstaad, Delft, Prussia Cove, Styriarte etc. After her first CD for Claves records (2014, with works by Mozart and Strawinsky with pianist Alasdair Beatson) was highly acclaimed by the press, a second CD with sonatas by Mozart and Poulenc was released by Claves records in January 2017, again together with pianist Alasdair Beatson. Also this CD got excellent reviews. She has also recorded with Virgin Classics, Neos, Concentus Records, and Ars Musici. Esther Hoppe plays on a 1690 Gioffredo Cappa violin. She lives with her husband and her two children in Zürich. Tim is an increasingly sought after instrumentalist, regularly playing across the UK and Europe. Born to two violinist parents, Tim attended the Royal Academy of Music from the age of 4. He was also a chorister at the Temple Choir in London, and head chorister for his final two year, recording disks for both Signum and Decca labels. Starting his first serious string quartet in 2011, the Celan Quartet, he has been a regular at many of the chamber festivals both in the UK and abroad. 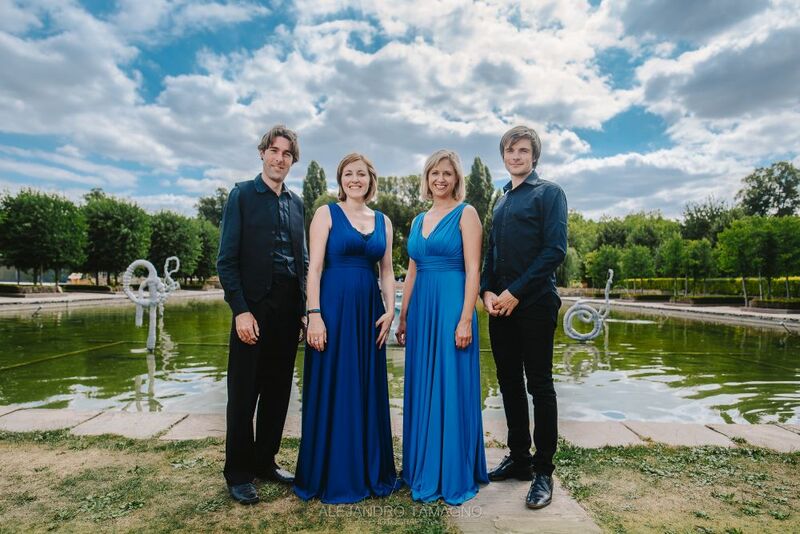 Now a member of the Barbican Quartet, who recently won the Royal Philharmonic Society Eugenie Frost Music Prize, as well as support from the Hattori Foundation and winning the St James’ Chamber Music Prize. Tim has attended the IMS Prussia Cove masterclasses since he turned 18, and in 2018 was invited to play on the IMS Open Chamber Music Tour, ending at the Wigmore Hall in London, alongside artists such as Adrian Brendel and Las Anders Tomter. Tim has performed alongside artists such as Steven Isserlis, Lawrence Power, Alexi Kenney, Philippe Graffin, Amy Norrington, Alasdair Beatson, Bengt Forsberg, Timothy Ridout, Paolo Giacometti. He is a regular of Musikdorf Ernen, IMS Prussia Cove, Lewes Chamber Festival and and looks forward to attending the West Wycombe Chamber Festival and Resonances festivals this year. He has also recently been asked to lead the new string ensemble set up by Lawrence Power, Collegium. 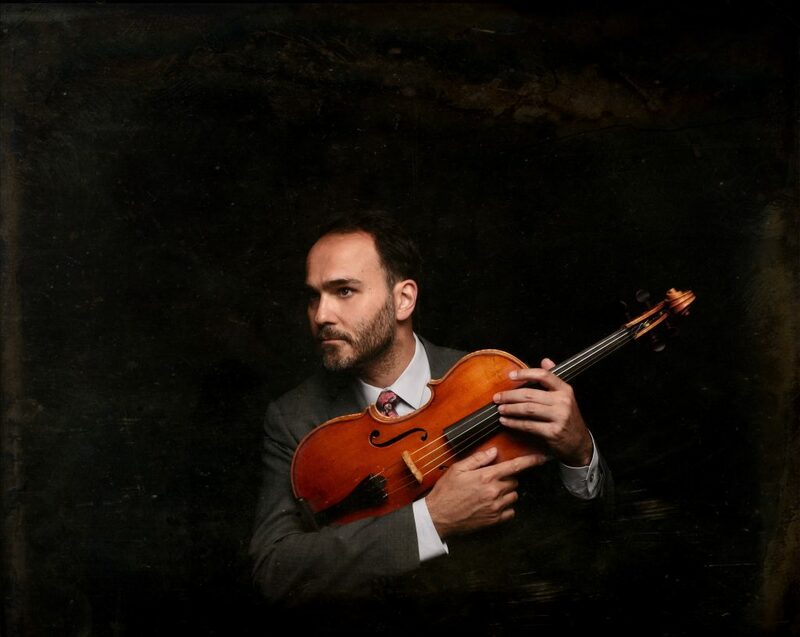 Violist Max Mandel enjoys a varied and acclaimed career as a chamber musician, soloist, orchestral musician and speaker. He is the Co-Principal Viola of The Orchestra of The Age of Enlightenment. He is also a member of the trailblazing ensemble FLUX Quartet. He has appeared as guest Principal with The Chamber Orchestra of Europe, The Australian Chamber Orchestra, The Scottish Chamber Orchestra, The Academy of Ancient Music, The Canadian Opera Company Orchestra and the Handel & Haydn Society amongst others. Other group affiliations include The Smithsonian Chamber Players, Tafelmusik Baroque Orchestra and The Silk Road Ensemble. His most recent record with FLUX Quartet is “Images from a Closed Ward” on New Focus Records. Also recently released is his recording of Mozart’s Sinfonia Concertante with violinist Aisslinn Nosky and the Handel & Haydn Society Orchestra on Coro Records. Born and raised in Toronto, Canada he divides his time between New York and London. 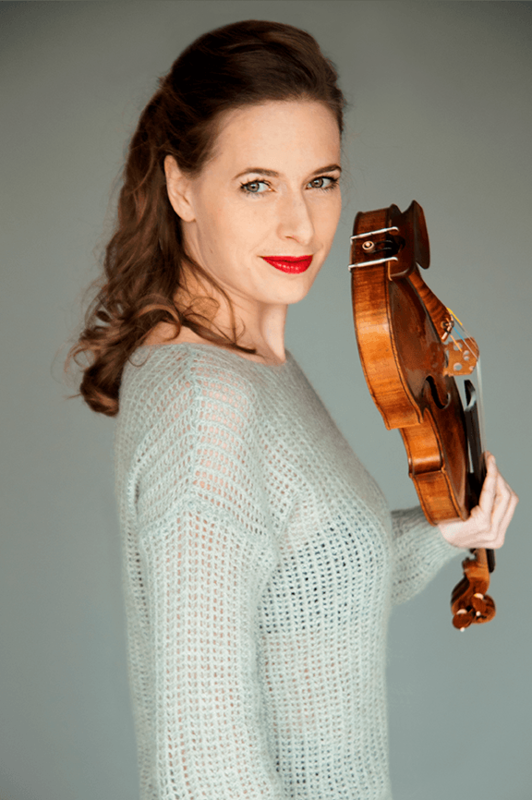 Violist Simone van der Giessen was born in Amsterdam and moved to the UK in 2002 to continue her violin studies with Jan Repko at the Royal Northern College of Music. It was in Manchester, that as a founding member of the Navarra String Quartet, chamber music became the centre of her musical life. In 2004 she began studying viola with Predrag Katanić and after graduating in June 2006 with First Class Honours she won the RNCM’s Cecil Aronowitz Prize for viola and performed Walton’s Concerto for Viola with the RNCM Symphony Orchestra. 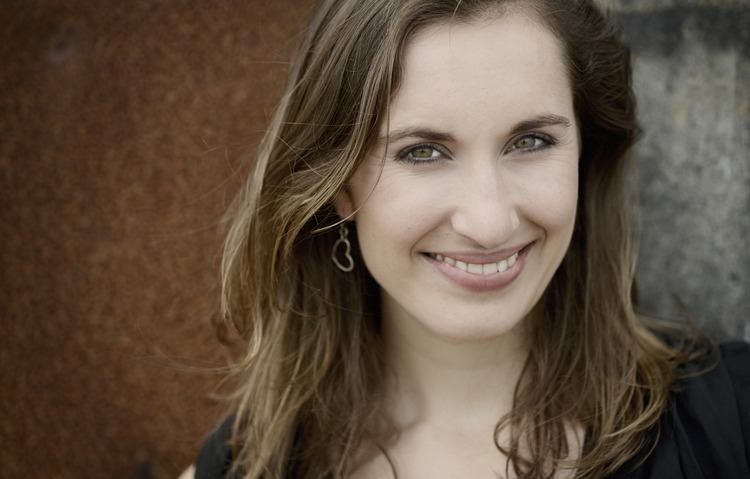 She has also performed in the Royal Festival Hall after receiving a Martin Music Scholarship. Also a member of the Serafino String Trio, Simone is now in much demand as a chamber musician and frequently invited to perform with various musicians and ensembles such as the Elias Quartet (which she has now joined on a permanent basis), Aronowitz Ensemble, Britten Sinfonia, Ensemble 360, the Mahler Chamber Orchestra and the Chamber Orchestra of Europe. 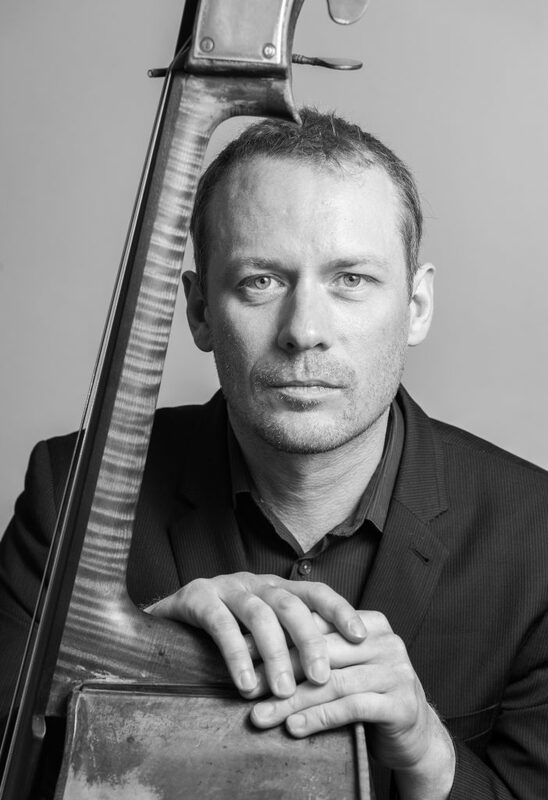 Graham is Principal Double Bass of English National Opera, Senior Professor at the Royal Academy of Music in London, and regular bassist with the Nash Ensemble. He was a member of the Philharmonia Orchestra from 1998- 2011 and works regularly with the Berlin Philharmonic and Chamber Orchestra of Europe. As a guest principal, Graham has led most of the orchestras in the UK including the London Symphony Orchestra. Graham has performed and recorded over the years with many soloists and chamber ensembles including Anthony Marwood, James Crabb, Pekka Kuusisto, and Imogen Cooper; the Florestan, Gould, and Kungsbacka Piano Trios, and the Belcea, Navarra, Elias, and Takacs Quartets. 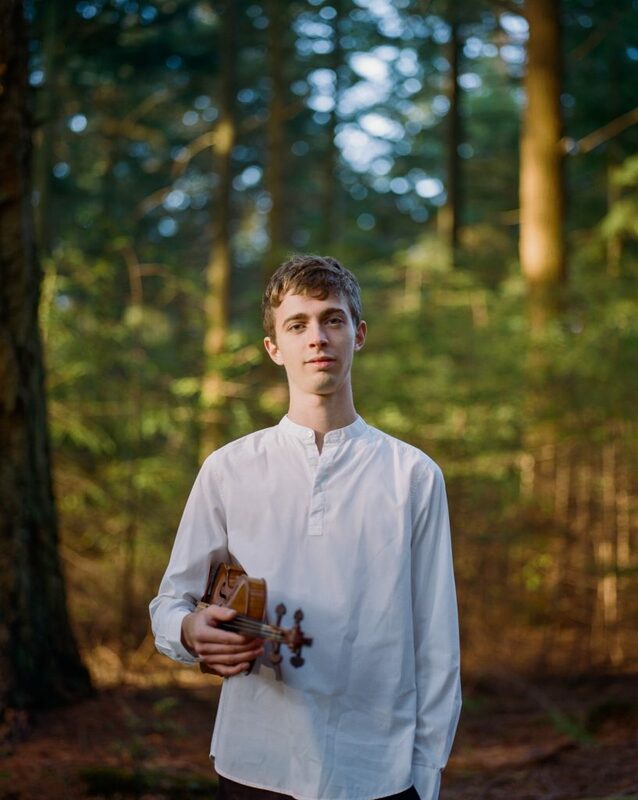 In 2007 Graham was invited by Steven Isserlis to perform at the IMS Prussia Cove Chamber Festival followed by a national tour and concert at the Wigmore Hall. This resulted in IMS Prussia Cove winning the chamber prize at the prestigious Royal Philharmonic Society Awards. His recording of Schubert’s Trout Quintet with Paul Lewis and the Leopold String Trio is praised as ‘one of the finest modern Trouts’ The Sunday Times. Graham plays on a 1750 double bass attributed to Testore. He is extremely thankful to the Stradivari Trust for their support.